Khalsa College Governing Council (KCGC) President Mr. Satyajit Singh Majithia today stressed that apart from making individual professional, the main thrust of education must be to inculcate amongst them the value of `being humble’. He said humbleness is the greatest of the values and as we get education we must imbibe this value to make the society just. Mr. Majithia said this during his presidential address at the 110th annual Convocation of the historic Khalsa College here today. More than 1167 graduate and post-graduate degrees were bestowed upon the students during the convocation. 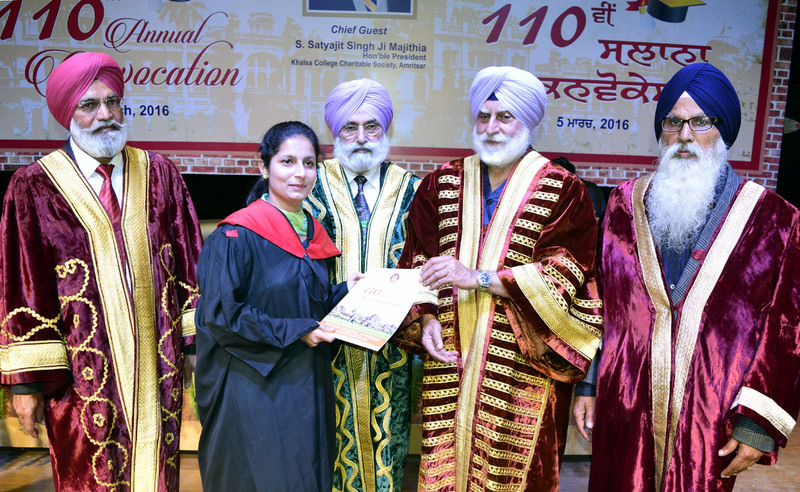 While congratulating the students on getting degrees, Mr Majithia said the teachers are the torch-bearers of the society and they must emerge as role model of being humble, which is also the philosophy propounded by the Gurus. 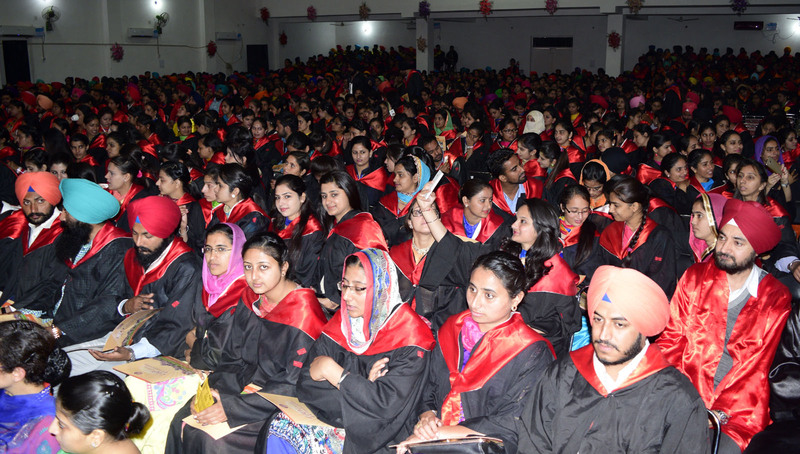 KCGC honourary secretary Rajinder Mohan Singh Chhina welcomed the guests and said that this is the age of professionalism and after getting the degrees the students would have vast competitions in their fields to get jobs and the best will survive. Addressing the students, he said they were lucky to get degrees from Mr.Majithia who himself is an example of being humble and spiritual person. Principal Dr.Mehal Singh read the College’s annual progress report highlighting the achievements of historic institution in the field of academics, sports and extra-curricular activities. 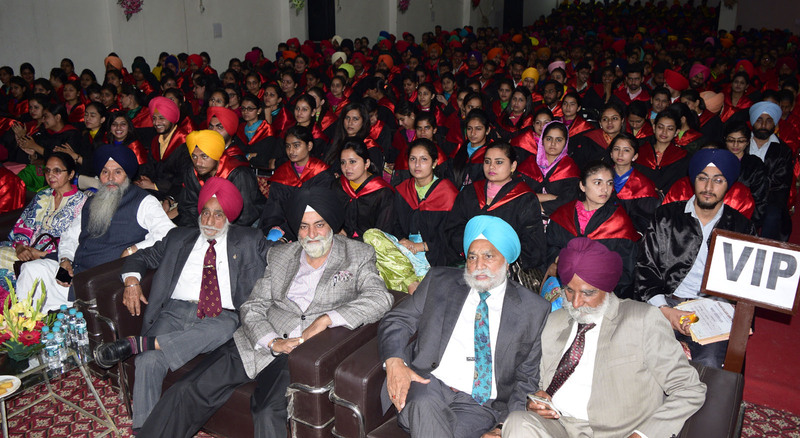 KCGC office bearers, principals of the Khalsa Institutions and, faculty members were present in large number.